Khushhali Microfinance Bank has recently been awarded‘Green Office Certification’ by WWF-Pakistan in recognition for its concrete efforts to implement environmentally sustainable practices within the head office. 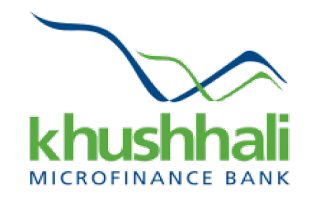 Khushhali Microfinance joined this programme in October 2017 and was able to get the certification within six months. Over this time,KMBL worked in close collaboration with WWF team to implement effective measures that will reduce thecarbon footprint of the office by reducing wastage of resources like electricity, water and paper. Several innovative measures were introduced aimed at reducing the consumption of energy, improving waste management practices and enhancing staff awareness on sustainability and environment conservation through regular communication and training sessions. The Certification was awarded after an in-depth inspection drive by the WWF Green Office AuditTeam which took into account all the environmentally sustainable practices implemented within the office and their impact.Talking about the Green office certification President Khushhali Microfinance Bank, Ghalib Nishtar said “The Green Office certification recognizes the continuous efforts that the Bank is taking towards environment conservation with a particular focus on increased awareness of the staff on the issue so that they are able to replicate it outside this office as well.” Green Office is a programme of WWF-Pakistan which centers onreduction in consumption of natural resources, promotion of climate change mitigation measures and increased awareness about environment. The first audit scores offices based on their practices involving energy conservation, waste reduction, recycling, and awareness programmes. WWF Green Office conducts annual audits to ensure that all implemented practices are followed in true spirit and efforts are being made for continuous improvement towards reduction of carbon footprint. KMBL is committed to the cause of environment conservation and is promoting it through multiple avenues including tree plantation activities, staff awareness activities and effective changes in its policies and procedures that support environment conservation.